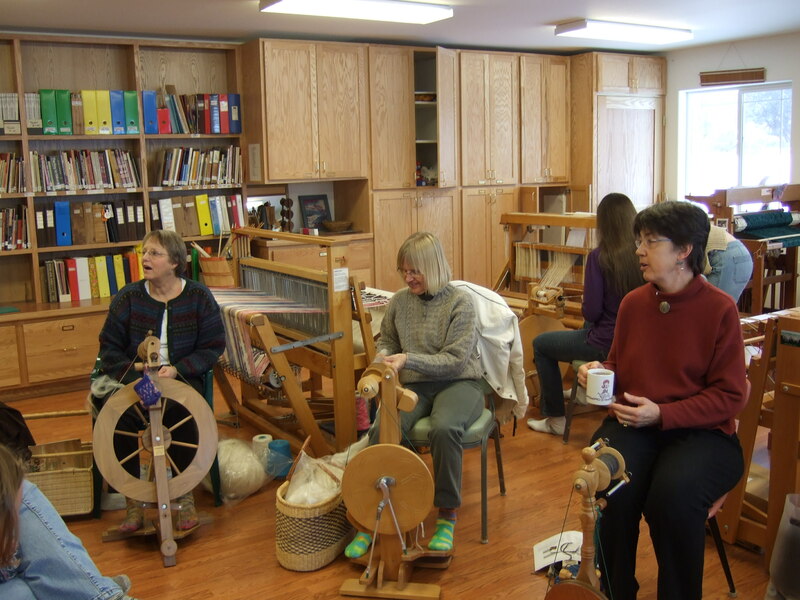 We had a good turnout yesterday at Methow Valley Spinners and Weavers, for our 4th Thursday “focus on spinning” day. 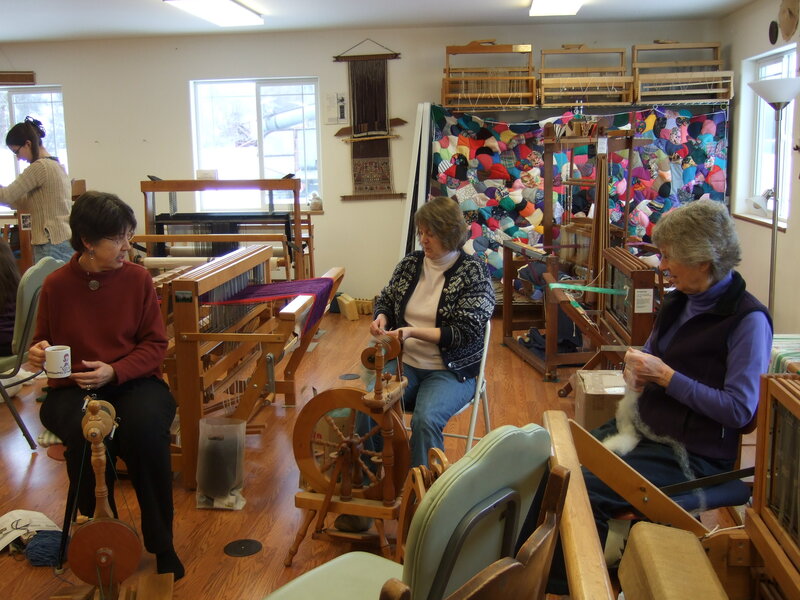 Somehow we had kind of fallen out of the habit of making this 4th meeting of the month truly about spinning, so it was heartening to see all the wheels in motion and a lively discussion of fiber preparations and spinning methods. There had also been some interest in learning more about crochet finishes so we had a little demo and practice of basic crochet and also Reverse Single Crochet or Crab Stitch. The yarn is some Rowan Magpie Tweed I bought several years ago from a friend who was de-stashing. It’s nice to see it finally turning into something! 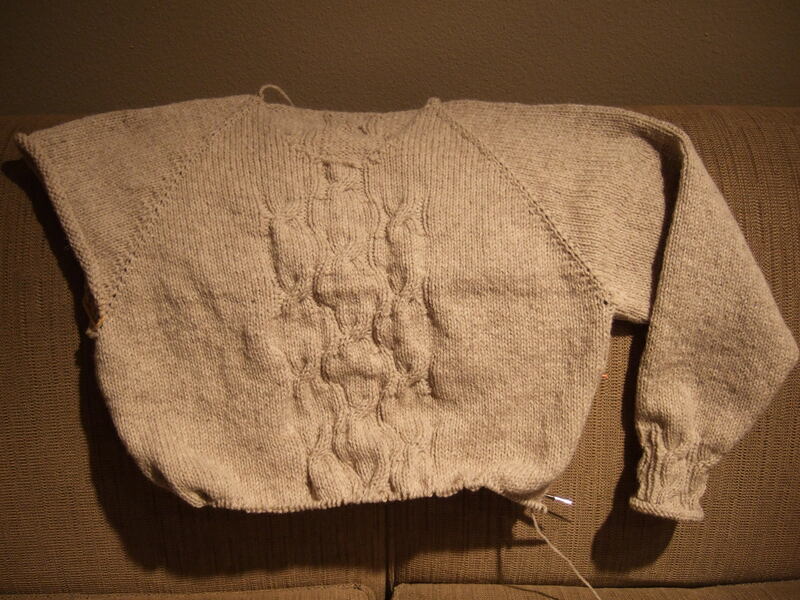 I am quite pleased with the cable pattern down the front and back, and the cabled rib with rolled edge on the sleeve. I plan to use that around the bottom of the sweater as well, and then work out something along the same lines for the neckline finish. My other group is on Thursday mornings – they just wanted some help with their projects, and to learn some new skills. Yesterday I taught them how to do several different kinds of buttonholes. I love your guild room! Will you be at Madrona? Holly, I won’t be at Madrona this year because I am going up to Orcas Island the week after that for a spinning workshop with Judith MacKenzie. Will blog about that when the time comes!